The Chinese celebrate lots of Hong Kong Holidays throughout the year. Something to think about while you’re travelling in Hong Kong is “are there any holidays occuring during my trip?” If something special is taking place while your there, it might be a great opportunity to join in on the fun. It could make for an unexpected memory that you’ll cherish and remember for the rest of your life. First you’ll have to find out what Hong Kong celebrates and what time of year each holiday lands on. The Chinese use the Chinese Lunar Calendar to determine what day many of their holidays land on. Depending on the celebration, some Hong Kong Holidays occur on a different western calendar day every year. Fireworks displays are put on during three Hong Kong Holidays throughout the year. They are: Western New Year, Chinese New Year, and National Day. To see some pictures of Christmas decorations in Hong Kong during Christmas 2011, visit our Facebook Page. The following is a list of Hong Kong Holidays celebrated all throughout the year. January 1st marks the first day of the New Year on the western calendar. You can visit the Victoria Harbour on the night of New Year’s Eve for an extravagant fireworks show. Chinese New Year occurs on the first day of the first full moon of the New Year. This day usually occurs between late January to early February. Chinese New Year is celebrated with lots of fireworks, firecrackers and Dragon Dances. The colour red is used in all Chinese New Year decorations. Children are given red pockets filled with money by their older relatives. If you’re married and have children, you’ll be obligated to give red pockets filled with money to children who ask you for one on Chinese New Year. Chinese New Year is considered the most important of all the Hong Kong Holidays of the year. During Chinese New Year people say “Gong Hay Fat Choy” to wish others prosperity and good fortune in the new year. Ching Ming Festival happens 15 days after the first day of spring (usually April 4th or 5th). This is a day for Chinese families to honour their ancestors by visiting their graves and paying respects. It’s also a day to celebrate that spring is coming and being together with family members. Bus routes that go to cemeteries run more frequently this day and streets can get very busy. Good Friday occurs on the Friday before Easter Sunday. Easter egg hunts are popular on Easter Monday in Hong Kong. Easter isn’t really one of the main Hong Kong Holidays, but decorations are put up anyways. Labour Day occurs on May 1st and celebrates labour laws for workers. The birthday of Siddhartha Gautama, the man who became Buddha. Buddha’s birthday occurs on the 8th day of the 4th month of the Chinese Lunar Calendar. This day usually occurs between late April and late May on the western calendar. The Po Lin Monastery is very busy and packed with tons of people on Buddha’s Birthday. If you enjoy being part of a large crowd, it might be fun to visit the Monastery on this day. Otherwise I’d advise you to plan to go somewhere else on Buddha’s Birthday. The Dragon Boat Festival occurs on the 5th day of the 5th month of the Chinese Lunar Calendar. This day usually falls between the end of May and end of June. Dragon Boat Festival celebrates a famous Chinese man named Qu Yuan who drowned himself in protest of the corrupt Chinese government over 2000 years ago. Local citizens tried to rescue Qu Yuan by beating drums to scare away fish. They also threw dumplings in the water to keep fish from eating his body. This holiday is celebrated by having Dragon Boat Races. Dragon Boats are long boats with a dragon carved into the boat that can seat 20-22 people. These boats are raced with the paddlers rowing to the beat of a drum. Races occur in bodies of water all over Hong Kong. The most popular spots for the Dragon Boat races are Stanley and Sha Tin (at the Shing Mun River). If you can’t attend a Dragon Boat Race, you can celebrate the Dragon Boat Festival by eating rice dumplings. These rice dumplings (called “joong” in Cantonese) are loaded with all sorts of food, wrapped in rice, and then wrapped in a banana tree leaf. Rice dumplings come in 2 different types: sweet or salty. The Hong Kong Administrative Region Establishment Day occurs on July 1st and celebrates the day Hong Kong’s sovereignty was handed over from the United Kingdom back to China. This day is one of the newer Hong Kong Holidays. It has been celebrated every year since July 1st, 1997, the day the Hong Kong Special Administrative Region was established. A special flag raising ceremony takes place at the Golden Bauhinia Square on July 1st. This flag raising ceremony is unique from the other flag raising ceremonies that occur daily at the Golden Bauhinia Square. The Mid Autumn Festival, also referred to as the “Moon Festival” or “Moon Day,” occurs on the 15th day of the 8th month of the Chinese Lunar Calendar. This day usually happens sometime between the beginning of September and the beginning of October on the western calendar. The reason this holiday is referred to as Moon Day is because this day is when the moon can be seen the brightest and fullest out of the whole year. People celebrate the Mid Autumn festival by admiring the moon at night with family and by eating Moon Cake. There are lots of different kinds of Moon Cakes you can try. They are normally made with 1 to 4 egg yolks and usually have a lotus seed or red bean filling. These Moon Cakes taste different depending on how many egg yolks are in the cake. They also come in all different sizes from bite sized all the way up to ones about the size of an adult hand. National Day celebrates the founding of the People’s Republic of China on October 1st, 1949. National Day is celebrated every year on October 1st. It has been celebrated in Hong Kong since 1997, the year Hong Kong’s sovereignty was handed over from British rule back to China. Just like the Hong Kong Administrative Region Establishment Day, National Day is one of the newer Hong Kong Holidays celebrated. If you go to Victoria Harbour at night on National Day, you’ll be able to see a special fireworks display that lights up the harbour. The Chung Yeung Festival is another day for honouring family members who have passed away. It falls on the 9th day of the 9th month of the Chinese Lunar Calendar (usually occurs in October on the western calendar). The Chung Yeung Festival is very similar to the Ching Ming Festival, but with 1 main difference. The Chinese believe that this day is good for climbing up a mountain to avoid bad things from happening. You’ll find the Victoria Peak to be very crowded on this day due to many people climbing and taking The Peak Tram to the top of Mount Austin. This day is a very busy day with people walking to graveyards to pay respects to their ancestors. Buses run more frequently on this day to accommodate the big crowds of people. Winter Solstice is the day with the shortest amount of sunlight of the year. Since Hong Kong is in the Northern Hemisphere, this day falls on December 21st or 22nd each year. Winter Solstice is celebrated by having dinner with family. A popular type of food to have in the winter is Hot Pot because people can gather around a warm heat source, eat, and visit with family all at the same time. Christmas is celebrated in Hong Kong, but it’s not as big of a holiday as it is in western countries. Most of the city is decorated with Christmas decorations. These decorations are at malls, stores, apartment buildings and tourist attractions. The decorations at Christmas time are very extravagant. Only one of the Hong Kong holidays throughout the year can rival the decorations of Christmas, and that’s Chinese New Year. 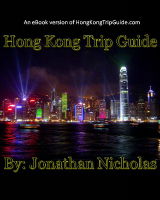 One of the fun things to do in Hong Kong during Christmas time is visit the Victoria Harbour. Here you’ll see all sorts of Christmas decorations, special Christmas events, shopping and a special countdown to bring in the New Year. All of these special festivities are called Hong Kong Winterfest. Other attractions such as Hong Kong Disneyland will have special events and decorations for Christmas as well. And now you know what kinds of Hong Kong Holidays are celebrated throughout the year. If any of the Hong Kong Holidays fall on the weekend and are celebrated with a day off, either Monday or Friday is given as a day off instead.